So two weeks ago i decided to take part in my first (and probably last) sprint distance triathlon. 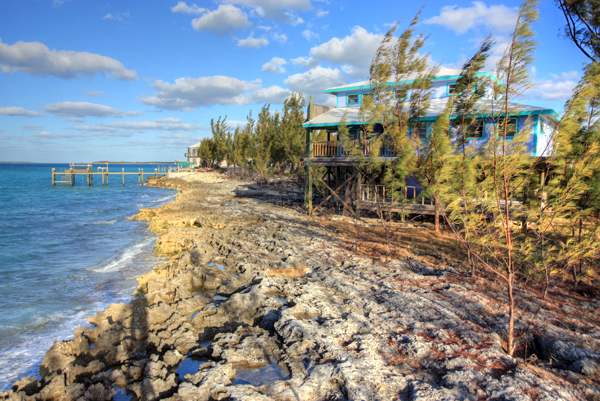 The Great Abaco Family Fitness Weekend is taking part at Treasure Cay on the 23rd of March. You are thinking “why would he want to do something so silly?” Well 2 reasons really – one to support my friend Lee and help to build this into a successful annual sporting event in Abaco and secondly I decided it would be a good way to raise some money for Rotary International’s End Polio Now campaign. So my goal is to raise a few hundred dollars for a very worthwhile cause by putting myself through agonizing pain and suffering. Sounds like a good idea right? If you think you might enjoy watching a grown man cry like a baby you should come out and watch me. Or better yet sponsor my pain and make it more worth my effort. I have begun training, in 2 weeks I’ve got up doing a 12 mile bike and a 1.5 mile run. I should be ready to do these 2 parts of the event without a problem I think. the bike and the run, no problem. The problem is Bahamians don’t go swimming before Easter because the water is too cold. The water temperature is only like 73 degrees, but we Bahamians are quite spoiled and don’t go in unless the water is at least 80 or warmer. Which means i can’t go swimming. Which means i won’t have any training for the swim portion of the tri. Oh the problems we face in this world of paradise. But wish me luck. In other news, we missed the Man O War flea market AGAIN. I have been living in Abaco almost 8 years now and every year there is some reason why we can’t go. This year it was just rained out. I will definitely make it next year. Junkanoo in Abaco is happening this weekend – kids on Friday, adults on Saturday. So if you want to local flavour, check it out. I believe it starts at 7pm.